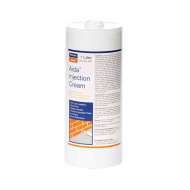 Treat rising damp by injecting a highly effective chemical damp proof course. Rising damp is when moisture from the ground travels up the walls of a building through capillary action. When this happens, you are likely to see signs of rising damp on internal walls like staining and salt deposits. The excess moisture in the wall can cause internal damage to plaster, paint and wallpaper as well as external damage. The best way to treat rising damp is by installing a new damp proof course (DPC) through chemical injection. A chemical damp proof injection forms a new DPC that prevents water from rising up from the ground. 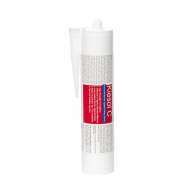 You inject a specially-formulated chemical into either the brick or mortar joint depending on the product selected. 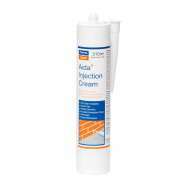 When the chemical injection cures, it creates a water repellent barrier that prevents damp from rising up the wall. 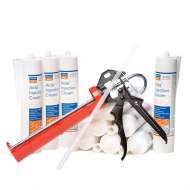 Permagard manufacture and stock several types of rising damp treatment. 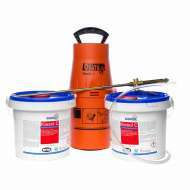 These include damp proof injection chemicals, ranging from water-based concentrates to ready to use damp proofing creams. 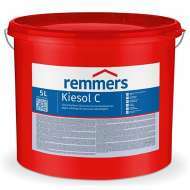 Kiesol C is the highest strength damp proofing cream on the market providing a permanent horizontal barrier against rising damp. 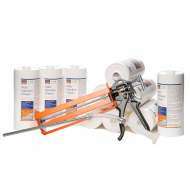 It is approved for use in highly saturated walls and has passed rigorous European testing. 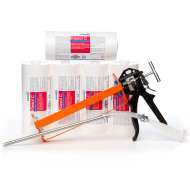 It is available in cartridges or 5 litre tubs. 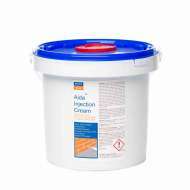 Once inserted into the mortar course, the cream slowly reverts to a liquid. 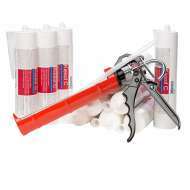 This allows it to penetrate deeply into the masonry and be completely absorbed. 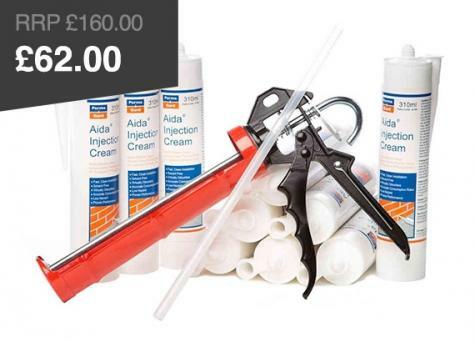 We also sell a complete DPC injection kit featuring Kiesol C.
Aida Damp Proof Injection Cream is a highly effective treatment for rising damp. 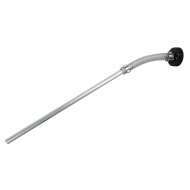 It is easy to install either directly from the cartridge or from a low pressure injection unit into the mortar joint. We also stock complete rising damp solution kits that include everything you need for highly effective chemical injection. 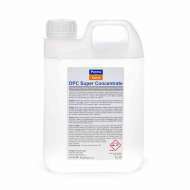 Aqueous DPC Injection Fluid is a high strength concentrated chemical injection fluid that is diluted with water. 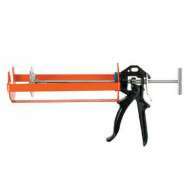 It is then injected into the brickwork under pressure to create a chemical damp proof course. 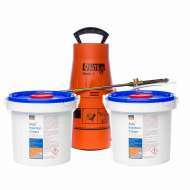 This product does require the use of high pressure injection machinery and has been used by professional damp proofing companies for over 25 years. Once you have treated the rising damp, it is essential that you re-plaster internally following the correct specification. 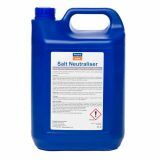 By using the right spec, you prevent further issues with salt contamination. 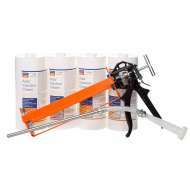 Permagard stock all the required products (available on this page) for re-plastering - these include Salt Neutraliser to treat any salt contamination before the re-plastering takes place and Permagard Waterproofer for re-rendering. 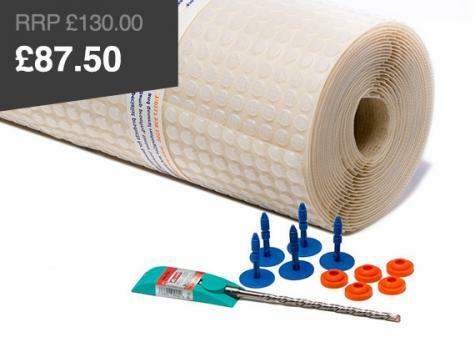 We now offer also offer damp proof membrane kits to speed up the re-plastering process and isolate new finishes from damp, salt contaminated walls. 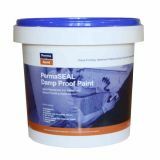 You can also protect a property from rising damp with a polythene damp proof course. These are best installed during new construction. At Permagard, we stock extremely durable DPC membranes manufactured by Capital Valley Plastics. 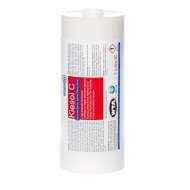 At Permagard, we stock a large range of rising damp treatments. 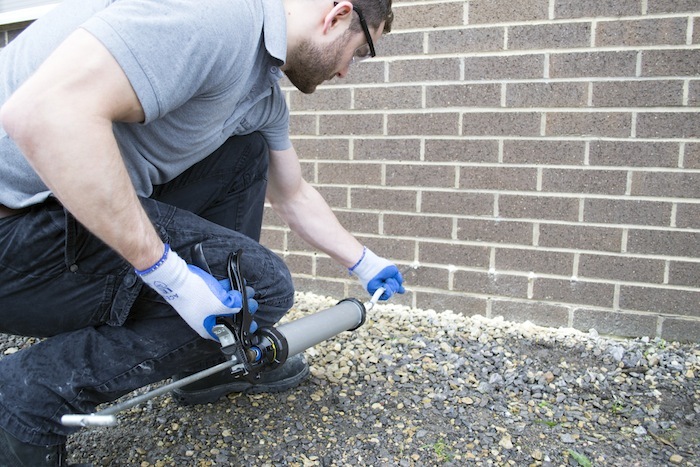 Our technical staff are available to advise you on all aspects of damp proof injection and getting rid of rising damp. Simply call us on 0117 982 3282. 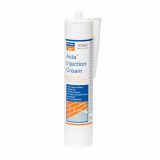 For more information read our How To Guide on Using Damp Proof Cream Injection to Treat Rising Damp. You can also read more on what rising damp is in our advice section.